You can get quick access to a number of our services by making just one phone call. We build relationships, not just contracts. 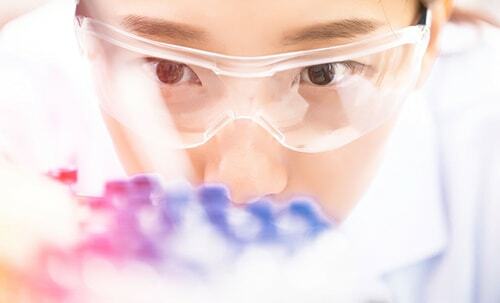 DDA represents an established global network of medicinal chemistry partners that can assist companies in ensuring a successful drug discovery program. In working with our clients we identify the key goals of each of the projects i.e. costs, timeline lines, IP sensitivity, etc and then align our supplier with the best fit for that project. Our partners can evaluate biologic activity, ADME, pharmacology, physico-chemical characteristics and provide recommendations supporting key input for innovation for the next lead and/or target. Our medicinal chemists have decades of experience supporting discovery research for major pharmaceuticals companies whereby many have seen their innovation become FDA approved drugs. DDA’s strategy is to understand the key aspects of each clients discovery program and to match their needs with the discovery CRO that can add the key innovation based on their scientific background to ensure every program is a success. Of experience serving the drug discovery market. In transactions between pharmaceutical companies and our global supplier base. Biotech programs brokered to date. Ready to see how we can help you hit your R&D goals? Please don’t hesitate to reach out to us today to discuss how we can help you reach your objectives. Drug Discovery Alliances was recently certified by the Greater Womens Council and received the Women’s Business Enterprise National Council certification. Drug Discovery Alliances was recently HUB Zone Certified.